When is Appointment Letter provided? On the day of joining of the employee, an Appointment letter is provided and it is printed on the letterhead of the business. One copy of the mutually signed appointment letter is kept by the Employer as a record, while another signed document is given to the Employee. It contains all information in detail related to the position offered, salary and other working information and benefits. 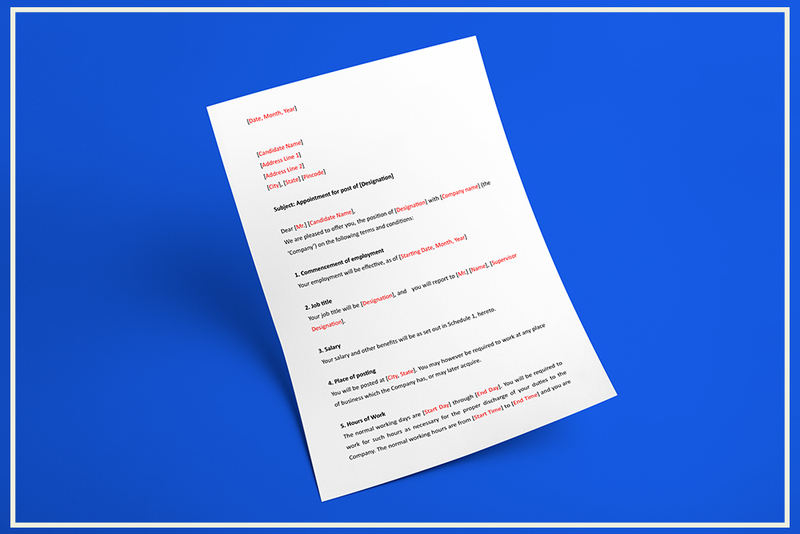 Appointment letters are printed on letterhead which is having logo and company details on it, of the employer and signed by the Management or HR Manager or person authorized to hire the candidate for the particular position. The candidate who accepts the position must sign a copy of the letter and submit it to the employing company to show acceptance of employment with all rules and regulations defined, salary and other details like what is expected of the employee, how many hours they must work, sick days and salary, etc. Once done a contractual commitment to be fulfilled by both parties.